The poetic proverbs known to nuevomexicanos as dichos are particular to their places of origin. 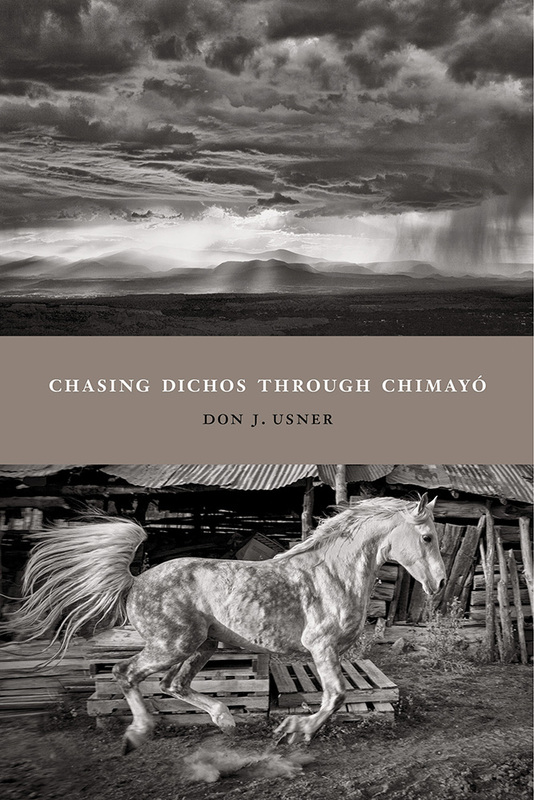 In these reflections on the dichos of the Chimayó Valley in northern New Mexico native son Don J. Usner has written a memoir that is also a valuable source of information on the rich language and culture of the region. Illustrated with black-and-white photographs that Usner, who is also known for his photographic work, took of the people and places that he writes about, this book is a one-of-a-kind introduction to the real New Mexico. Usner has known Chimayó since he was a boy visiting his grandmother and the other village elders, who taught him genealogies going back to family origins in Spain. The Spanish he learned there was embedded in dichos and cuentos. This book is the result of Usner’s research into these memorable sayings, and it preserves a language and a culture on the verge on dissolution. It is a gateway into a uniquely New Mexican way of life. Don J. Usner’s most recent book, Valles Caldera: A Vision for New Mexico’s National Preserve, coauthored with William deBuys, also includes his remarkable photographs. He lives in Santa Fe, New Mexico.